Medieval buckle of the 1470 year is made according to the samples of bronze accessories of the High Middle Ages. Exactly the same adornment is featured on the altarpiece with Elizabeth and George, (Alte Pinakotek, Munich, Germany). This peculiar and aesthetically beautiful accessory was very popular among grand people. You may see such artefacts on engravings, paintings and even in alchemic treatises. It is suitable for leather belts of any colors. Buckle size: 40 x 55 mm. 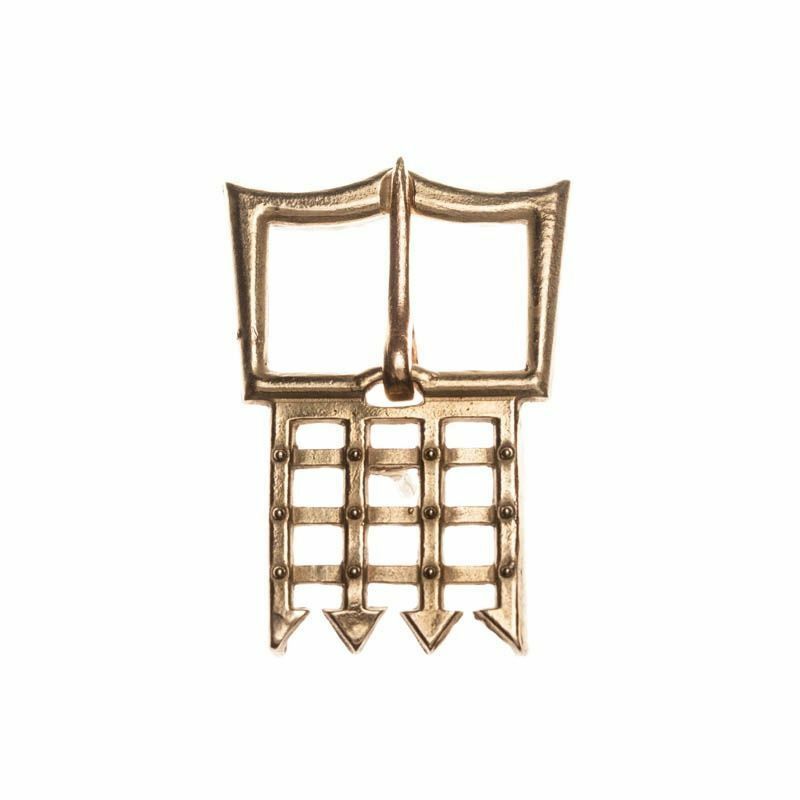 Brass clothing buckle of medieval England is a reconstruction of its analogue of the XIV-XV centuries. You may similar buckles on the paintings of medieval artists and in museum exhibitions. Knight armor, men's and women's festive garbs were real pieces of art in the Middle Ages. Belt buckles were completing every outfit – fabric or metal. Material: brass. Buckle size: 30 x 37 mm. Strap width: 22-26 mm. .. 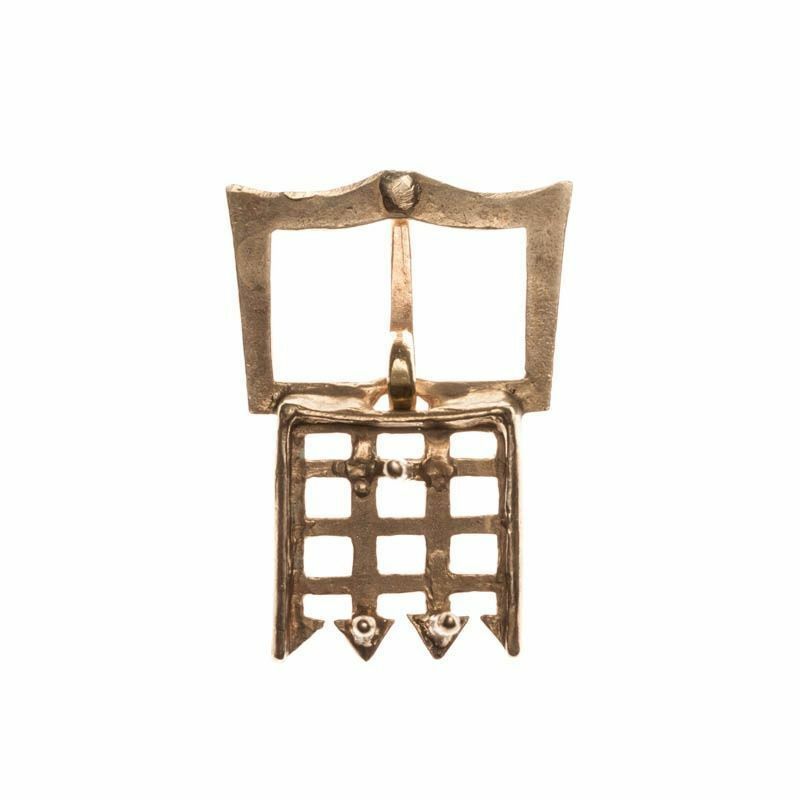 Medieval custom brass buckle is a reconstruction of buckle, founded during archaeological excavations in England. This accessory of the medieval clothing is dated by the late XIV – early XV centuries. Simple and laconic buckle will be suitable as for armour, so for men's outfit. Material: brass. Buckle size: 28 x 31 mm. Strap width: 20-22 mm. .. This medieval buckle of the 1200-1500 years is a reconstruction of a buckle from Zbarazh (Ternopil region, western Ukraine). This is an integral part of any medieval costume. Similar models were widespread throughout Europe. Cast buckle is made of bronze. In those times, belt with buckle was a necessary piece of an outfit of knight. As parts of armor, weapon and equipment are to be fixed easy and handy. Paintings of medieval artists and archaeological findings represent that. Buckle looks laconic and simple, in style of that epoch. It consists of oval-shaped frame and locking prong. Buckle is suitable for men's and women's costumes. Material: bronze. Buckle size: 26 x 22 mm. Strap width: 16-22 mm. ..